Movies | I Started Late and Forgot the Dog. What Does One Even Do with a Vacation? I’m on vacation this week for my best friend’s wedding. 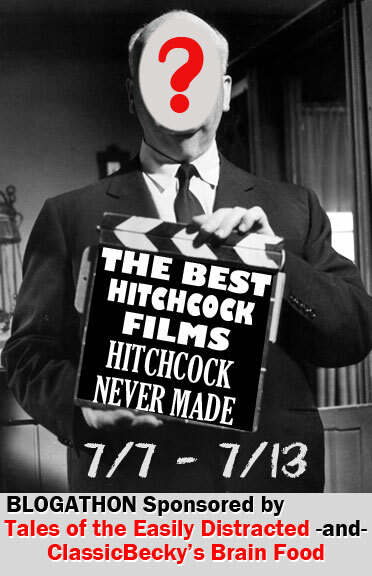 But until then, I’m making silent movies. 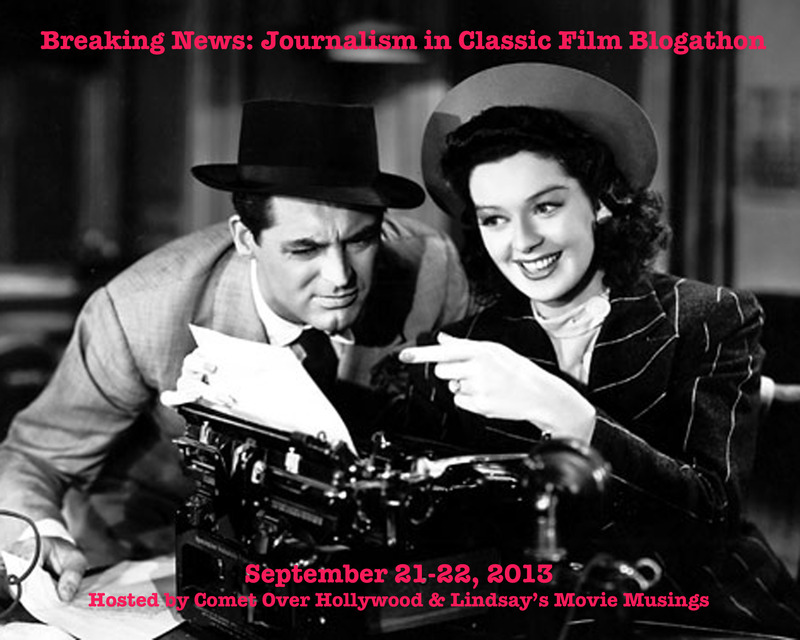 Posted as part of the Breaking News: Journalism in Classic Film Blogathon, hosted by Comet Over Hollywood. As everyone knows, career women (especially in classic films) are a rare breed of diseased characters who need to be cured through domestication. Once married to a good man, a (former) career woman presumably lives a normal life, inoculated against her unnatural occupational fixations with the wholesome combination of kids and dogs and bacon and eggs and draperies. However, not many films explore how this domestication might actually play out. Crime of Passion (1957) starring Barbara Stanwyck, Sterling Hayden, and Perry Mason (Raymond Burr, that is) takes the career woman character to her logical–and tragic–end. 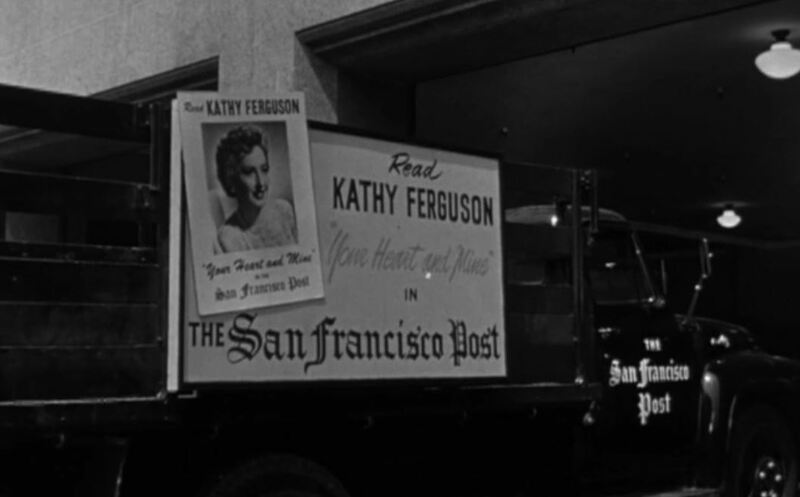 Our story begins with a newspaper truck barreling through San Francisco. On the side we see this advertisement. So we see this picture of our protagonist, Kathy Ferguson, and we see she’s one of those “Dear Abby” type columnists, and we’re probably supposed to think she’s all soft and feminine and sympathetic and all that. And then we cut to the newsroom, where Barbara Stanwyck is Barbara Stanwyck-ing around, wearing practical clothes, trading wry witticisms with coworkers, and generally showing she’s not as prissy as we might imagine a ladies’ columnist to be. 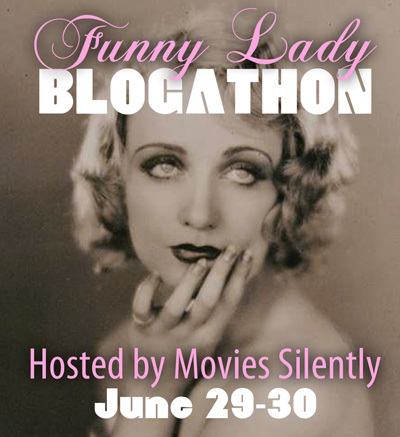 Posted as part of the Funny Lady Blogathon put on by that talented and prolific purveyor of silent-movie gifs and other intriguing gems, Fritzi, of Movies, Silently. I have a Top Hat poster in my room. It’s this one. It was given to me for maybe my 13th or 14th birthday by someone who knew I loved classic films in general, musicals specifically, and Ginger Rogers especially. I don’t like Top Hat. 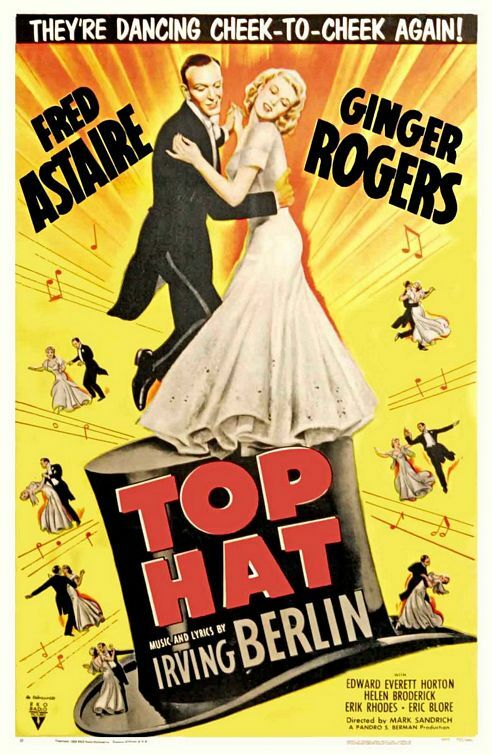 In fact, I don’t like any of the Rogers-Astaire musicals from the ’30s, and I just can’t put my finger on why. Let me retrace my affection for Ginger Rogers. The first classic movie I watched on my own (I mean, I spent every Christmas Eve watching It’s a Wonderful Life, and I think my mom and I had probably committed four hours to Gone with the Wind at some indistinguishable point in my childhood, but those don’t count because they weren’t my own choices although they both remain in my very-favorite-movie list) was a little number that’s not even that classic or that good. It’s a weepy-wartime, totally ludicrous affair called I’ll Be Seeing You. It stars Ginger Rogers as a sexually harassed secretary who accidentally shoves her boss out of a window (killing him, of course) when he tries to molest her. She goes to prison and then she gets out on some kind of furlough for the holidays and goes to stay with her aunt (Spring Byington [best character actress ever]), uncle, and cousin (Shirley Temple). Nobody trusts poor Ginger, and there’s a lot of family drama and some cattiness, and a lot of Ginger Rogers looking totally glamorously upset in gorgeous Edith Head gowns. Meanwhile, Joseph Cotten is a half-crazy-from-shellshock WWII GI who’s on leave. They fall in love, and neither of them tells the other their entire stories. More drama ensues, the truths come out, Ginger goes back to prison, but Joseph declares his everlasting love, and all is well. And then, as any good fangirl in 1999 would do, I decided I needed to boot up AOL and figure out what Ginger Rogers movies I could watch next. Perhaps the next was Gold Diggers of 1933. While I enjoyed Ginger’s turn as the hilariously gold-diggingest gold digger, I was more mesmerized by the Busby Berkeley choreography, Joan Blondell’s outrageous beauty and delightful warble, and the general charm of a fast-paced, tightly scripted pre-code. And so I took a detour down that sort of road for a while. And I branched out to other ladies–Mae West, Marlene Dietrich, Bette Davis, even a brief thing with Kay Francis, and many, many hours with Ann Sothern as Maisie. 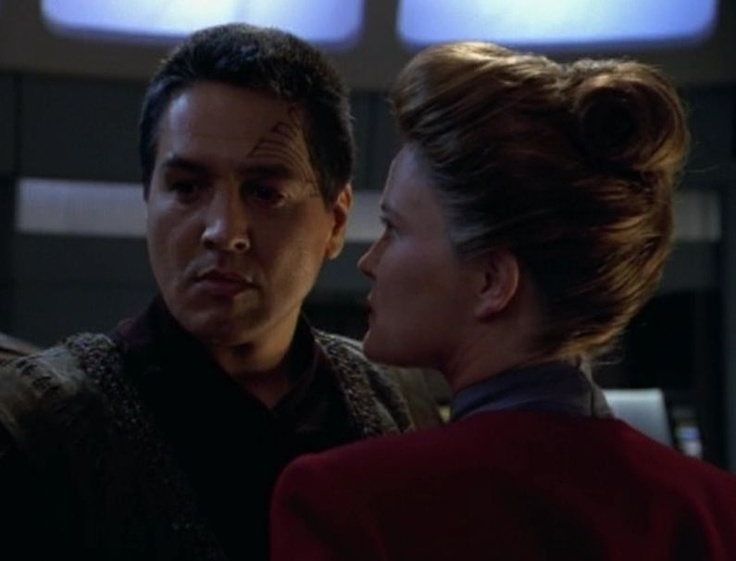 And countless others in varying degrees of fangirlish devotion. 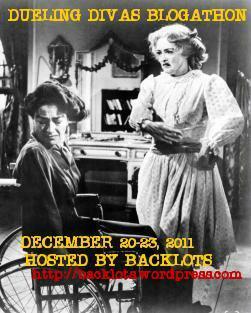 Joan Crawford was a late edition, but at the peak of our affair, it was pretty intense. But then I was back to Ginger and her great tragedies: Kitty Foyle, The Primrose Path, Tender Comrade. I tried her Astaire stuff and even sort of liked The Barkleys of Broadway, but, for me, there was nothing like Ginger in tears, losing her man, having children out of wedlock, etc. And then I watched Stage Door where she’s opposite Katherine Hepburn in an actress boarding house, fighting with her for parts and finally becoming BFFs. And I partially realized what the deal is with my thing for Ginger. No better foil exists for Ginger Rogers than Katherine Hepburn. I don’t dislike Katherine Hepburn, and I don’t want anyone to mistake the following for criticism because Kate is obviously marvelous and can make me laugh and cry just as well as anybody, but she certainly has a persona (which is like half the plot of Stage Door): that New England aristocrat with a recognizable tinny voice and a rigid physique who’s rather dour in her tragic roles and who is always ultra stagy. And then there’s Ginger–soft and flexible, draped casually over a chair playing a ukulele, with her big clear eyes and her buttery midwestern voice barking out sassy witticisms but then also cooing softly to her friends when they’ve had a bad day. I realized seeing this juxtaposition that I love watching Ginger Rogers cry because she does it as she does all things: with half a smile on her face. I like her in tragedies because she’s open and warm-looking and funny like your best friend is funny–not like stand-up comic funny but clever jabs and pratfalls funny. I like her in tragedies because she seems so honest. I like her in tragedies because in real life she’s a comedic actress. And her sensitivity to the comedy of tragedy shows in the way she plays someone so foolish and silly but with so much heart like Kitty Foyle or the gal in I’ll Be Seeing You. 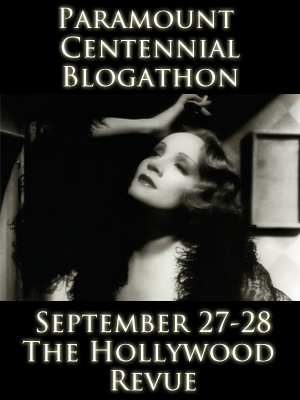 I was researching what I might want to write about for Ruth (at SilverScreenings)’s Mary Astor Blogathon, and I realized anew how delightfully strange old movie titles can be. So, today we have a found poem straight from Mary Astor’s filmography. rose of the Golden West. I am a thief heart to heart. 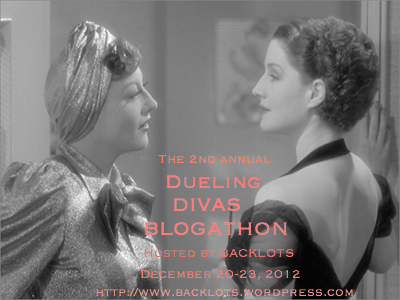 Posted as part of The Hollywood Revue’s Fashion in Film Blogathon running March 29-30. Witness for the Prosecution is not the most fashionable movie ever made. It does not make my heart leap and yearn like Humoresque or cringe and guffaw like High School Hellcats. It simply has costumes that really fit the characters (not to mention the characters the characters are trying to make everyone believe they are). So let’s take a look-see. 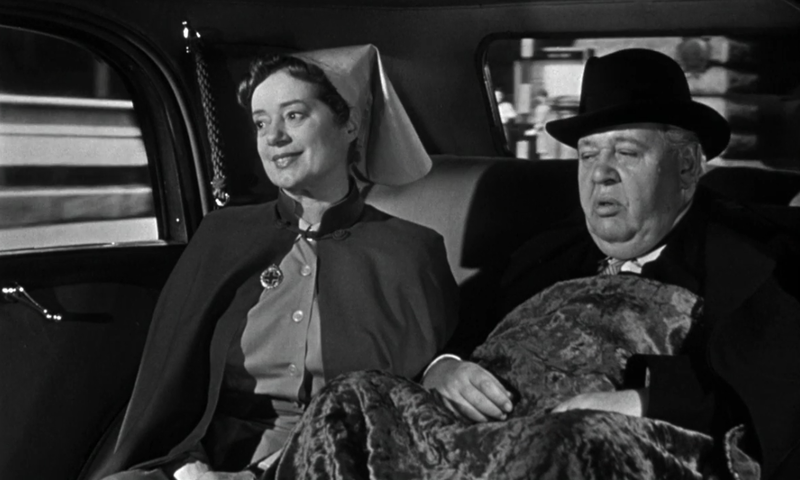 First we’ve got our intrepid hero, Charles Laughton, and his gal Friday (who is really his nurse because he has a heart condition and he does not want anything to do with her for most of the movie), Elsa Lanchester. This little car ride shows us their typical wardrobe (as well as their typical attitude). I did a little research (the rigorous and academic typing of “1950s British nurses” into Google Images), and even by 1950s standards, Lanchester’s outfit here is bulky and old-fashioned. And she’s a bulky, old-fashioned nurse who delights in her bulky, old-fashioned ways.